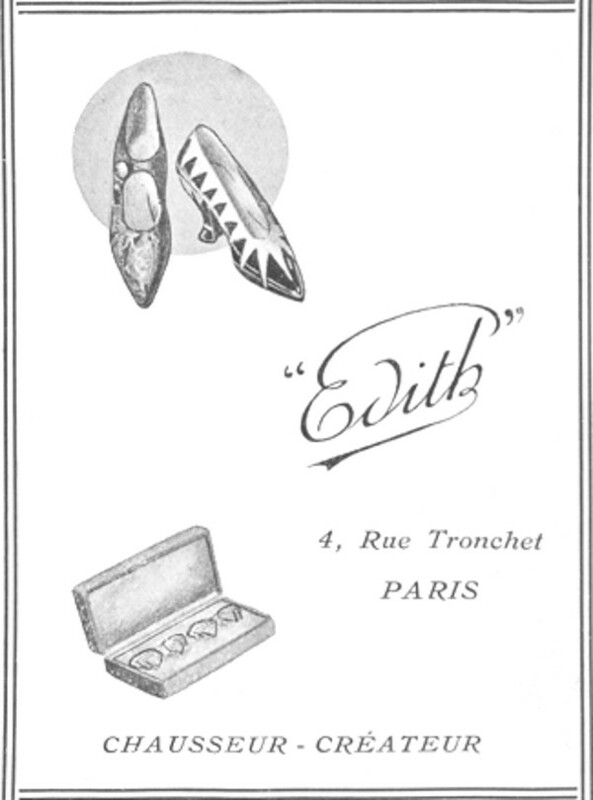 Edith was the commercial brand of the «Maison Messore», a manufacture of luxury shoes founded in 1916 by the bottier of Italian origin Alexandre Messore in Paris (67, Rue Rébeval). The company enjoyed a significant success in the early 20s, opening boutiques in France and establishing a distribution network in Europe and North Africa (Tunisie and Algerie). In Italy they operated in partnership with Giovanni Gilardini, one of the oldest Italian footwear companies. 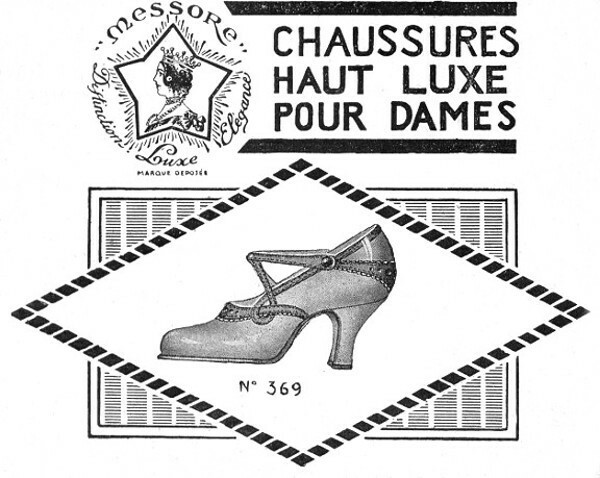 Unfortunately it didn't last: the huge investments to expand production/distribution and the expensive advertising campaigns were a burden too big for the company and Maison Messore went bankrupt in 1923. 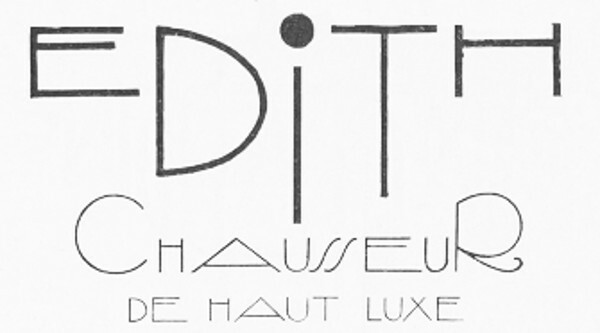 Alexandre Messore remained in business with his own name for a few years, while the brand Edith changed both ownership and production site. It was then based in 4, Rue Tronchet, Paris. The new manager was Yves Malembits, who carried on the production of luxury shoes, but also specialized in handbags, belts and other leather products. Edith remained a top brand until World War II, then it slowly faded until Malembits sold the company in 1961. 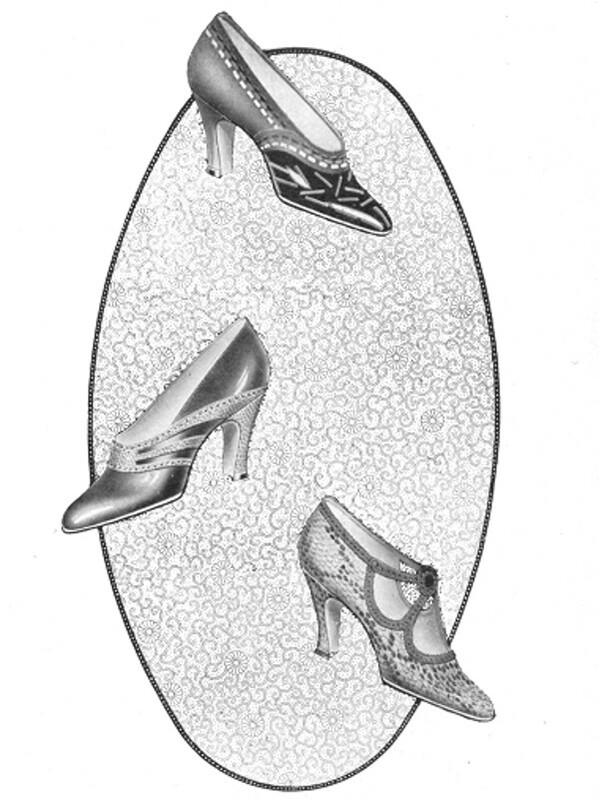 The “Societé des Chaussures Edith” ended for good its activities at the end of the Seventies.